The vice president alongside other party chieftains all came out to rally for party's governorship candidate in Ekiti state, Kayode Fayemi. 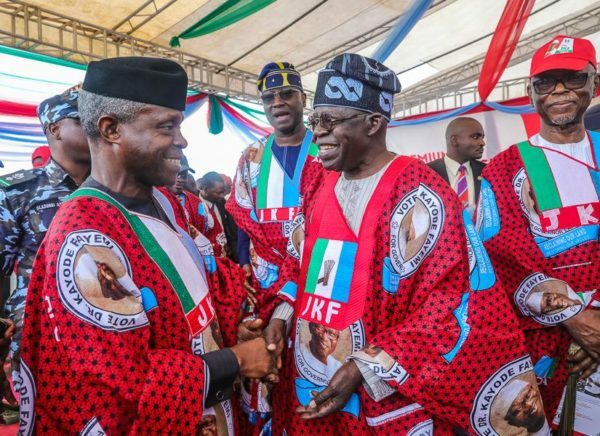 Vice -President Yemi Osinbajo on Tuesday said the All Progressives Congress, (APC) remains the only party capable of liberating the people of Ekiti state from their current challenges. 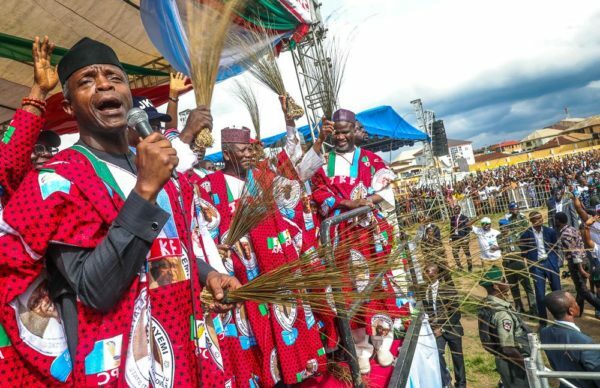 The News Agency of Nigeria, (NAN) reports that Osinbajo spoke in Ado Ekiti, the Ekiti state capital, at a mega rally organised to garner support for the party in the governorship election on 14 July. Also the National Chairman of the party, Chief John Odigie-Oyegun said the the people of the state have no better choice than to vote-in the ruling party at the centre for them to get liberated from the pangs of poverty. 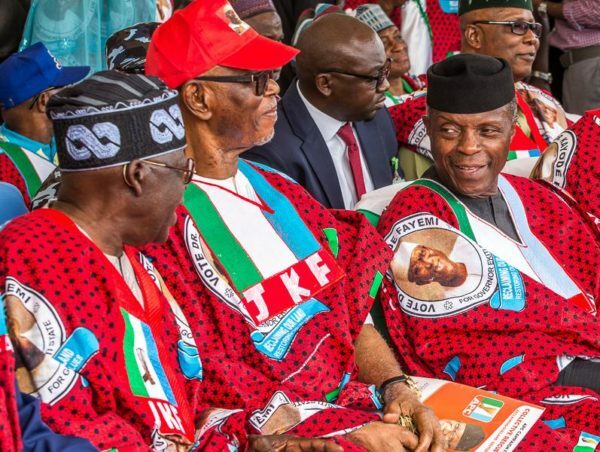 Oyegun, who said he was shocked by the magnitude of people that trooped out to witness the event, said the development was a clear signal that the Ekiti people were ready to effect change. The APC boss urged the people to replicate the same affection for the party on July 14, 2018 by voting massively for the APC candidate, Kayode Fayemi, who was the former governor and later minister of Mines and Steel. NAN reports that the Vice-President who led scores of party leaders from across the country to the venue, said there was no better alternative to APC in terms of good governance. He urged persons of voting age in the state to obtain their Permanent Voter’s Cards, (PVC’s), and vote for Kayode Fayemi, who he described as reliable and trustworthy. ”I can assure you all that Fayemi will bring the prosperity that Ekiti is in need of”, he said. Other key leaders, such as Asiwaju Bola Amed Tinubu, National Chairman, Chief Segun Oni, Senator Babafemi Ojudu, former governor Adams Oshiomhole, and governors Simon Lalong, Ibikunle Amosun, Abiola Ajimobi, Rauf Aregbesola, Rotimi Akeredolu, Yahaya Bello, Abdulaziz Yari and Abdulfatai Ahmed who also spoke, canvassed support for the APC candidate, describing him as the best alternative. 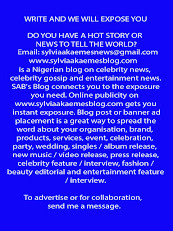 While Tinubu urged the crowd to prove their loyalty by obtaining their Voter’s Cards and consequently voting out the PDP government in the state come July 14, , another top speaker and former governor Niyi Adebayo declared that the federal government would deploy both armed soldiers and mobile policemen for the election, whether or not the ruling PDP government in the state liked it or not. Others party leaders present included Secretary to the Government of the Federation, (SGF), Boss Mustapha, former minister of state for works, Prince Dayo Adeyeye. NAN reports that the high point of the event included presentation of the APC flag to Fayemi and formal welcome of former Minister of State for Works and one-time National Publicity Secretary of PDP, Adeyeye who recently switched loyalty from PDP into the APC. Other bigwigs of the party present were Chief Bisi Akande, Senator Olorunnimbe Mamora and Mr. Bamidele Olumilua. NAN reports that the 14,000-capacity Oluyemi Kayode stadium had been filled to capacity as early as 12 noon, long before the Vice-President arrived the state at about 2:39pm. Masqueraders and musicians, led by Adewale Ayuba entertained the crowd. In an interview, Fayemi said he was convinced that God would deliver the state to him on the election day, saying his decision to seek re-election was not for selfish reasons. He enjoined all his supporters not to be distracted but remain focused in their resolve to bring about change in the state. 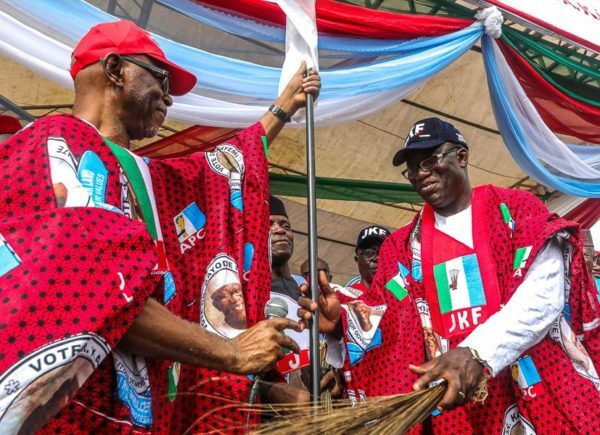 NAN reports that the Vice president, in company of the National Chairman of the party, John Oyegun later presented the party’s flag to Fayemi at the rally.